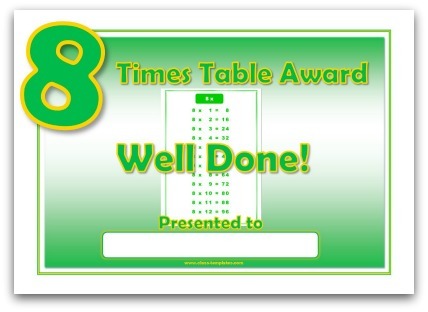 This 8 times table award certificate prints as A5 size therefore 2 certificates will print on 1 piece of A4 paper. Click on the image to open the file in PDF format (will open in a new window). Are your students not quite ready to receive their 8 times table award certificate yet? 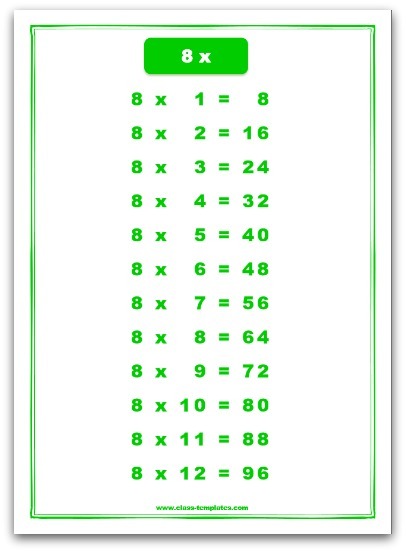 Below you can find free printable 8 times table charts to print off and give to your students.